When I'm out and about at blogging events I'm always coming across new people to chat to which is one of the very best things about writing this blog. Last year I met Sarah at a restaurant opening in Newcastle and, loving her bubbly personality, we instantly clicked. Having not had the opportunity to meet up since, we decided to treat ourselves to afternoon tea for a long overdue catch up. 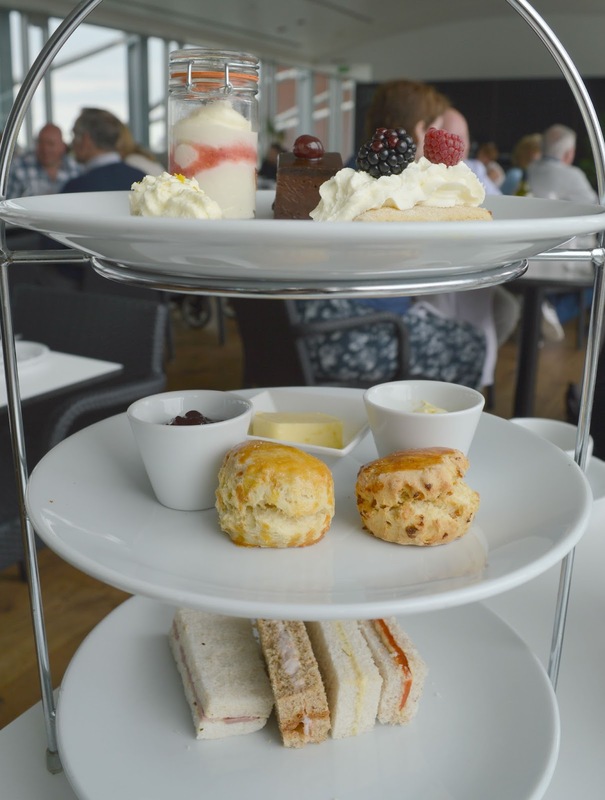 As we are both fans of Six at the Baltic - me for their coffee and views, Sarah for their afternoon tea, we decided to book ourselves a table on a rainy Sunday afternoon. Our afternoon tea was served in the main restaurant which was full with families enjoying Sunday lunch. The large, light and airy room is perfect for such a busy restaurant as you don't feel like you're sitting on top of the next door table, very important as afternoon tea definitely requires some peace and quiet. We both ordered English Breakfast Tea which turned up in tiny teapots. 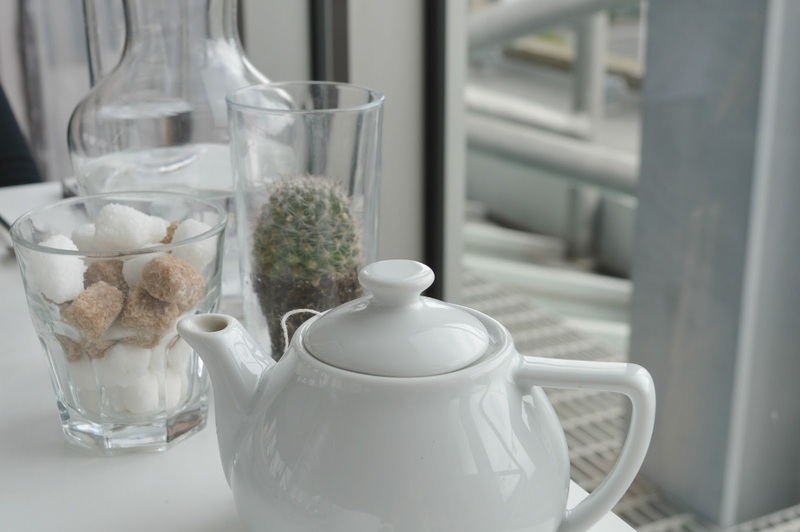 I was a little concerned as I get through a lot of tea when I'm feasting on afternoon tea and find it hard to enjoy without a full cuppa sat by my side at all times. No need for worry though, the attentive guys at Six had their eyes firmly on our pots and each time we needed a refill they were there before we had to ask. It was a little wait for our afternoon tea, although I only know this because we received a very sincere apology for it at the end of our afternoon. We hadn't actually noticed ourselves as we were too busy gossiping. The cake stands appeared and I was really happy that my nut allergy had been well considered. Having afternoon tea with me tends to mean you get an afternoon tea stand all to yourself, something which Sarah certainly appreciated. We were talked through each tier of the stands (an added touch that I always really appreciate) and left to tuck into our food. We demolished the sandwiches eagerly, wanting to get to the sweet stuff (I'm afraid this girl will never change!) But before I move on to talking about scones and cakes I have to mention the Hummus and Pepper filling that we both loved. It made a nice change and the peppers were thickly cut making a beautiful chunky sandwich. 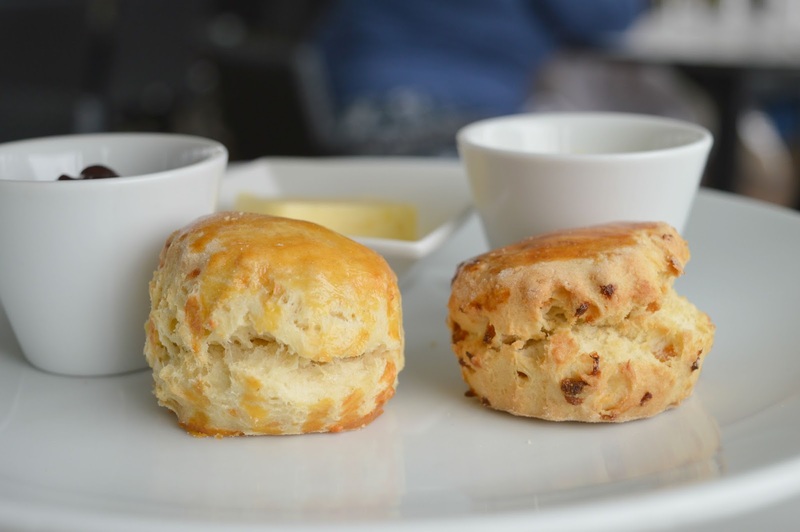 We had two miniature scones each - a Mature Cheddar served with butter and Apricot served with jam and cream. I'm such a fan of scones and it was lovely to have something a bit different. I love when a savoury scone is included on an afternoon tea, it helps to balance out the sugar that's to come and the apricot made a lovely change from the norm. Knowing all too well that it's best to leave the richest cake for last I started off with the panna cotta and followed that with the gingerbread cake. The shortbread covered in fruit and cream was one of my special additions and I was pretty surprised when I had a bite and realised what I thought was a cream topping was actually a light cream cheese. It worked so well with the fruit. I finished off with the chocolate delice which, as I predicted was beautifully rich and left me feeling full - the perfect end to a fantastic afternoon tea. 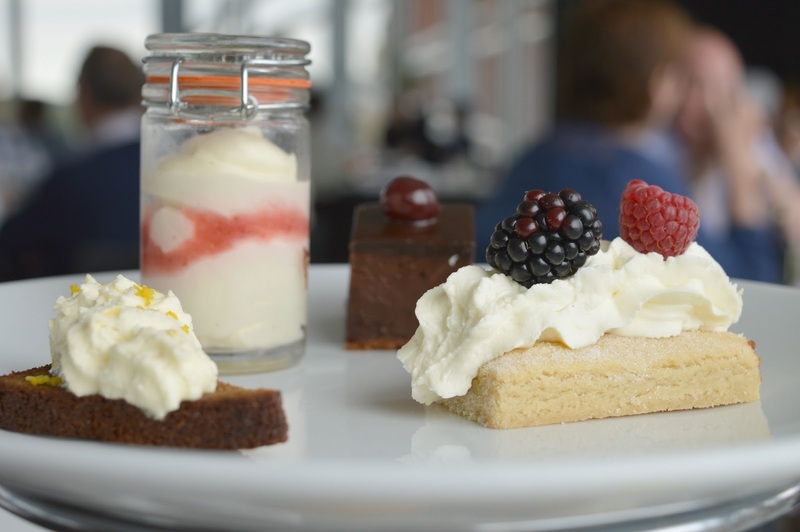 The Afternoon Tea at Six is perfectly presented with a selection of small delicate treats rather than huge wedges of cake and mammoth scones. Sometimes I forget that traditional afternoon tea should be bite sized and I certainly appreciated feeling pleasantly plump rather than having to roll myself home. We had a great time and it reminded me how Six has actually been on my Dinner Date wish list ever since I moved to Newcastle! I think it's about time Simon and I booked ourselves a table! Aw afternoon tea with friends is the best ever! The cakes look so yummy too! I love the fact that you've developed a cake strategy! The scones look delicious and the pictures are lovely! Looks delicious! It took me back to my first visit of Newcastle. I also stopped by for some afternoon tea at the Baltic. 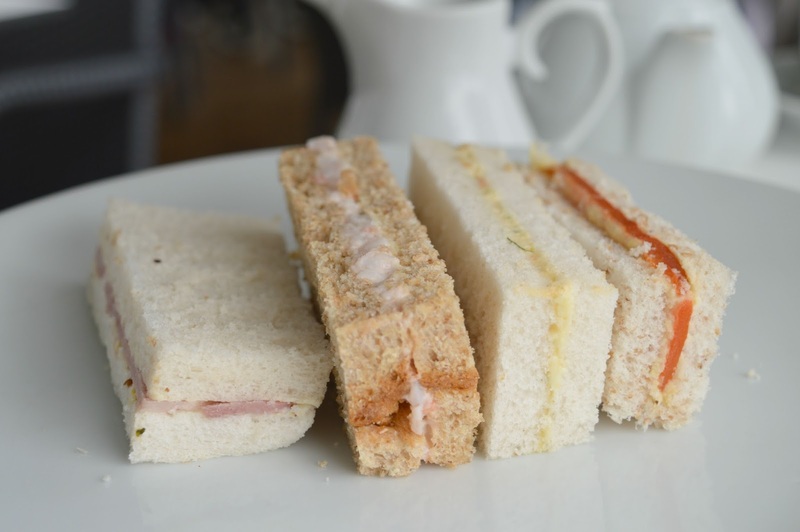 This looks amazing - love me a good afternoon tea! Scones are the best too - I like the slightly different twist with the flavours on this one too! I went to University in Newcastle and you seriously made me miss it! I want to go back and head straight to that afternoon tea!